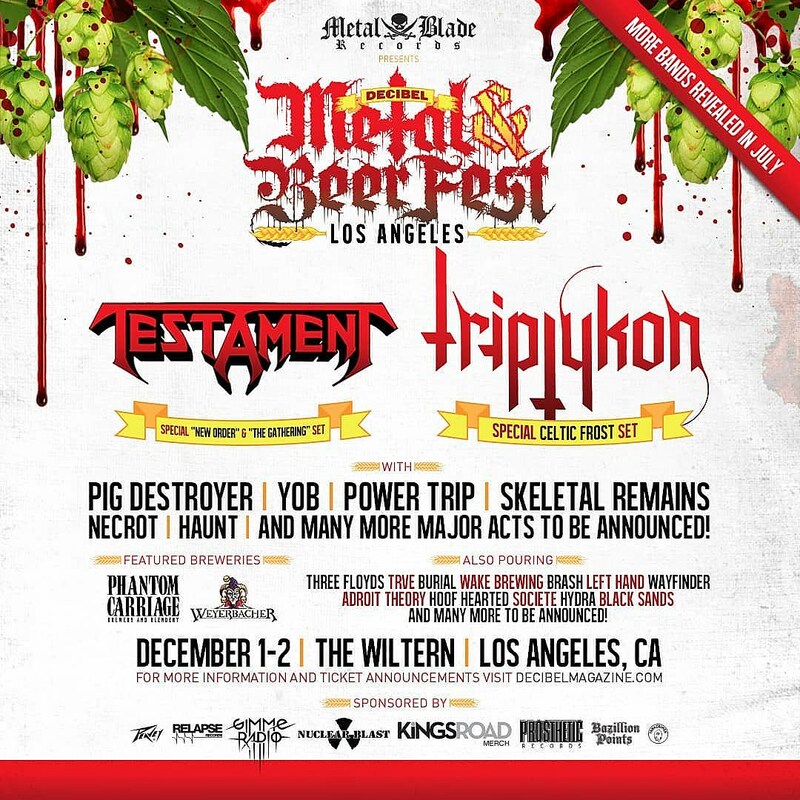 Having thrown their 2018 Metal & Beer Fest in Philly this past spring, Decibel will throw a Los Angeles edition on December 1-2 at The Wiltern. The headliners are Testament (celebrating 1988’s The New Order and 1999’s The Gathering), and Tom G. Warrior’s band Triptykon, who will be performing the music of Tom G. Warrior’s legendary Celtic Frost. The lineup also includes Pig Destroyer, YOB, Power Trip, Skeletal Remains, Necrot, Haunt, “and many more major acts to be announced.” Tickets go on sale Friday (6/29) at 9 AM Pacific.